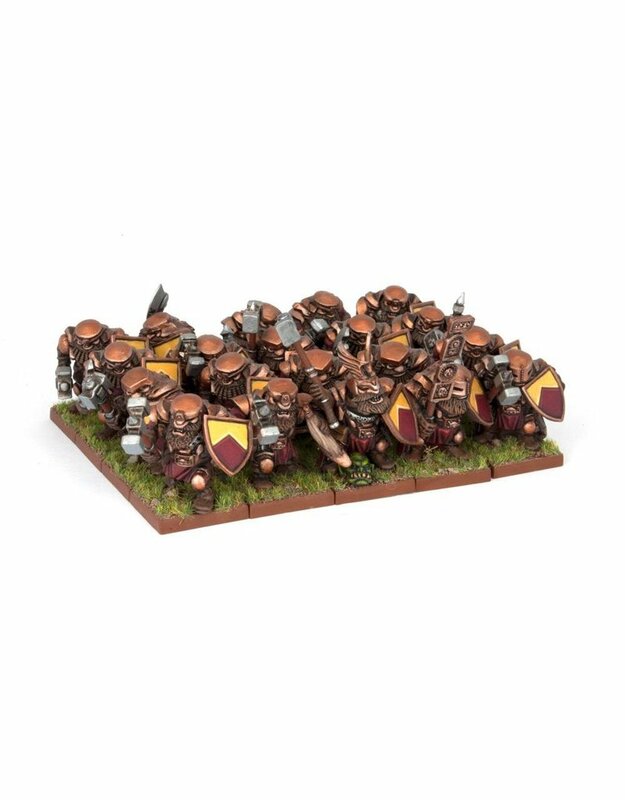 Regiments of battle-hardened Dwarf Ironclads form the core units of a hold’s army. They are tough, resilient and stubborn, presenting an unmoving shieldwall of impenetrable armour to the enemy. They specialise at weathering charges, letting the foe come to them where they can fight on their own terms with their heavy hammers and axes. They are led into battle by grizzled champions, usually lesser nobles wearing winged helmets in the style of their ancestors, their family’s standard proudly held aloft by their side.